Superfresh Growers® and Norris Farms® have joined forces to deliver customers around the world a premium organic and conventional blueberry program. About 60 percent of production is expected to be organic versus 40 percent conventional. Superfresh Growers will exclusively sell Norris Farms berries starting with the 2019 season, which is slated to start the first of June. In addition to domestic distribution, the new blueberry program is expected to reach customers in Asia, Central America, Mexico, and the UK. “Our partnership with Norris Farms is a unique and special opportunity that differentiates us,” explains Robert Kershaw, CEO of Superfresh Growers. “Our collective farming, sales, and logistical expertise, combined with mutual multi-generational farming knowledge, make our families a great match,” he added. 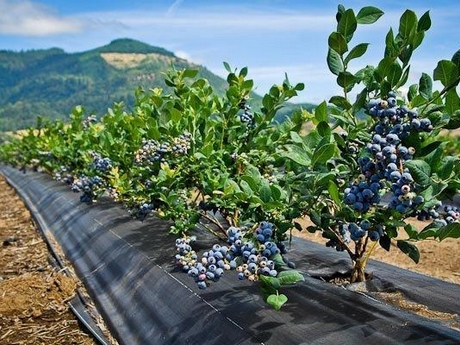 Norris Farms grows blueberries in Southern Oregon’s Umpqua River valley where harvest begins in early to mid-June and extends to late September. The Umpqua River valley is known for its warm sunny days and evenings cooled by coastal breezes which makes it an ideal climate for quality blueberry production. This results in low summer humidity which reduces the risk of condition and quality problems and extends the harvest season. “This geography allows an earlier and later window than Eastern Washington,” added Kershaw. “The partnership is exclusive, which gets at the heart of how special our blueberry deal is because it features only Norris Farms fruit.” The blueberries will be co-branded and shoppers and retailers will know exactly where their blueberries are from.